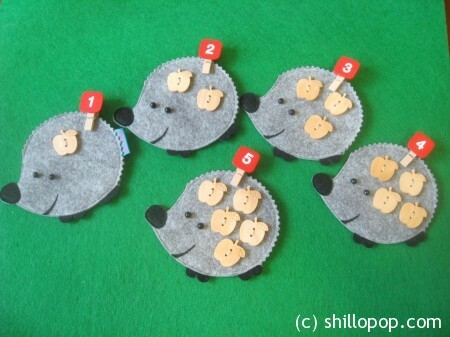 This is a simple math game for kids that works on number recognition and counting skills, and it also helps with the development of fine motor skills. Clothespins are one of my favorite tools for learning. 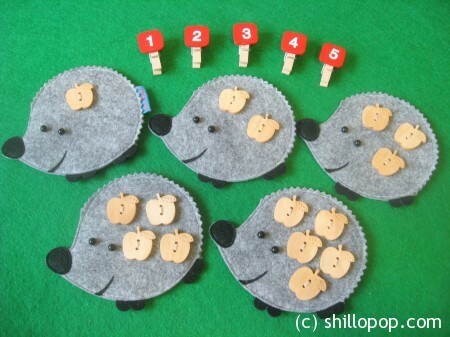 For this game I took Clothespins with numbers.To make hedgehog I drew a simple pattern and cut it from felt. It works with paper too, but I like felt so much! Apples are wooden buttons. 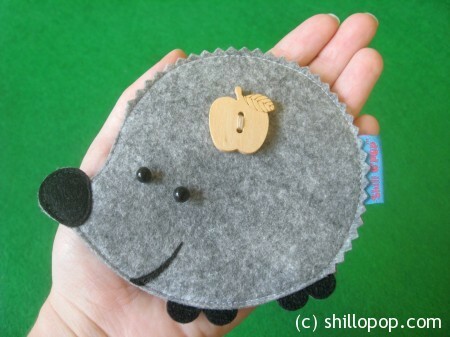 I made up a set of 5 cute hedgehogs. 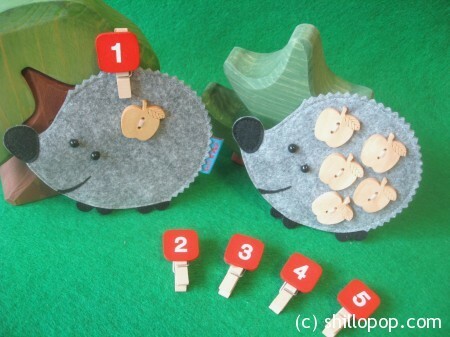 Game is very simple –kids count the number of apples then pinch on the correctly numbered clothespin. It’s a very simple yet fun way to practice math facts. It’s been a great success in my class, hope you have fun with it too!